We’ve always heard “death is part of life”, “death is the most natural thing in the world”, “death is the only sure thing we have”. Unfortunately I recently had to hear these over and over again, and know those statements are true… As I grow older, I realize more will leave us. If death is “a natural part of life” I guess we should consider goodbyes the same but, if these are “natural” things, why do they hurt so much? Why do we not get used to it easily? Death is not the only loss we suffer during life, we also suffer loss when a friend or love walks away. In a way, it’s death as well, the death of that relationship. Actual death is inevitable, and definitive. We cry, we miss but, in the end, we must resign knowing there’s nothing we can do about it. Why then do we fight to keep the ones who walk away? Why don’t we resign to see it as the death of the relationship? After all, those who walked away did it willingly. Is it human nature, the need to control or understand a situation, the love we have for them that won’t let us give up because we know that person is still alive and hope there’s a second chance? I think fairy tales and movies have something to do with this. Even in those death is final but, love lasts forever. It can move mountains, survive any fight, misunderstanding, war, distance, etc. We relive in our heads the words they said to us, the moments we had together, the things we wanted to do with them. We look for a way to get them back, to be what they want, to be happy with them. Thinking about it now, I guess it’s human nature. The way we do it is not the same but, we do hold on to the loved ones that have passed as well. We keep them alive in our hearts and memory. Those memories help us cope with the sorrow, and even bring smiles and laughter. Those memories are what we have to hold on, and we never let go. So, what’s really natural and certain is that we love, and that’s why it hurts. Either way they left us, we love them, and we were not ready to say goodbye. 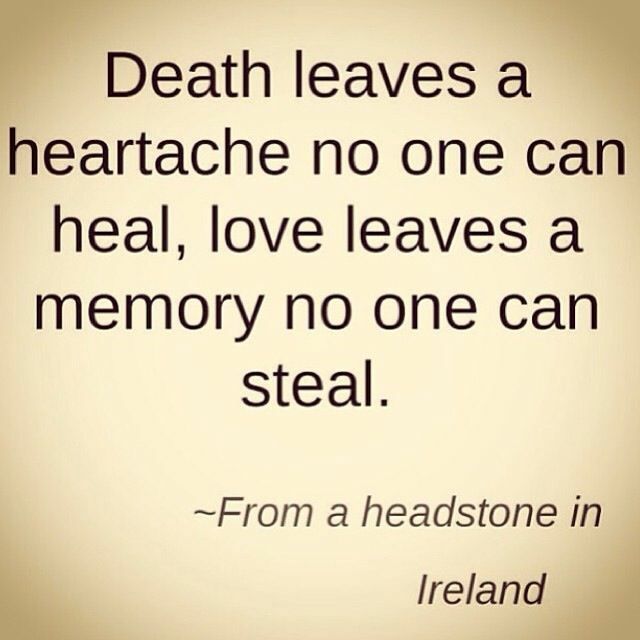 They leave both heartache and memories. We try any way we can to keep them in our lives, and when it’s not possible we mourn them, we miss them. Those still alive, we hold on to the hope they come back soon, and the rest we hope to see again in the future. In the end, they all leave a mark, one that will live with us forever and shape who we are. A mark only ours, that no one can heal, take away or match. We love them, and they’ll be forever in our hearts.